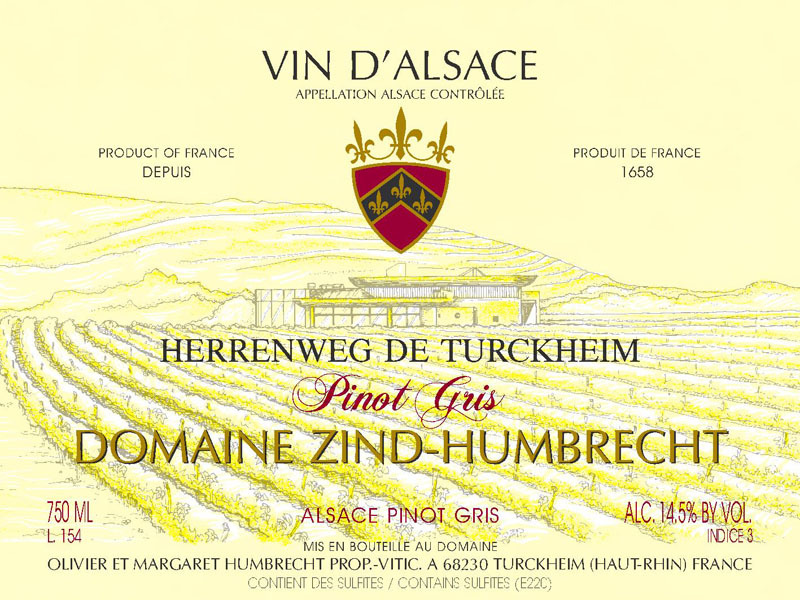 The Herrenweg is located on the gravely alluvial soil between Turckheim and Wintzenheim. These soils struggle to keep minerals and often suffer from drought, but, because they are well drained, they warm up quickly and it is always there that we start the harvest. In 2010, the crop was much smaller than usual and the grapes were harvested very ripe. The wine has a higher than normal acidity, and this probably is the main reason explaining an exceptionally slow fermentation. At one stage, we really thought that this wine would keep much more sweetness, but eventually, around October 2011, the yeasts finally finished their work. 3/2012: at this early stage, the wine still has attractive post-fermentation characteristics, with an expressive nose, showing toasty aromas, almonds, wax and some smoke. The palate should feel sweeter, but the acidity plays its role in the harmony of the wine, so the finish is clean and doesn’t leave a sweet impression. This is a particularly well balanced Herrenweg!